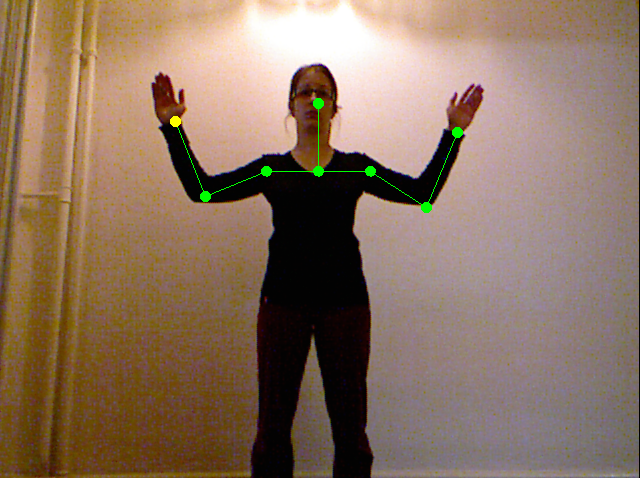 The aim of the project is to develop a human computer interface for the Mac platform in Java using the Kinect controller for the purpose of interacting with 3D visualizations. This semester project focused on the identification and tracking of the user. 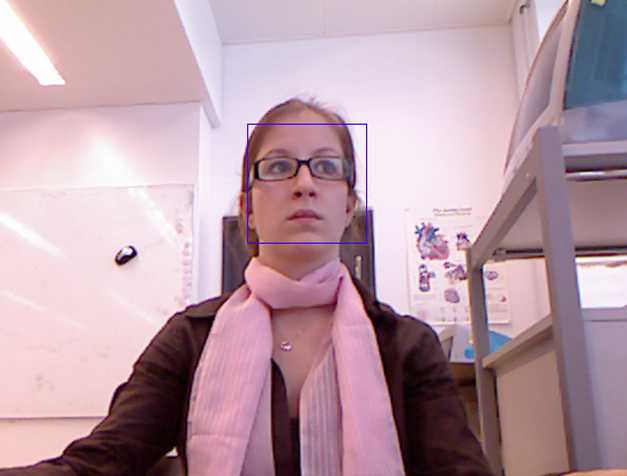 The identification of the user was performed by face detection using an implementation of the Viola-Jones object detection framework. Once the user was detected the next step was to map a skeleton to his/her upper-body which would follow the movements of the user's arms. For the tracking part, two different methods were investigated, the first one was to use Particle Filter, a hypothesis tracker, that approximates the filtered posterior distribution by a set of weighted particles. For the second method, we used Extended Distance Transform, which performs a skeletonization of a grayscale image by setting each pixel value at the distance to the nearest zero intensity pixel. The first method turned out to be computationally too expensive and had too many parameters to tune. The resulting tracking was not satisfying. 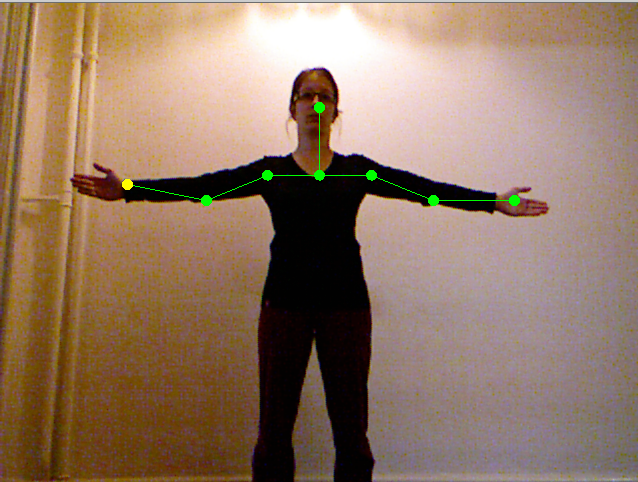 On the other hand the second method turned out to be a good solution to our problem, it enabled us to track the user's arm movements as long as the arms stayed far enough from the trunk.